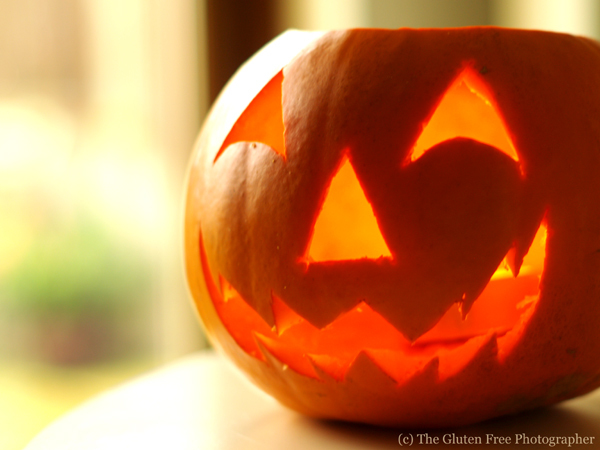 The Gluten Free Photographer: Happy Halloween! See my Cups For Cooking page for measurement conversions. - Line a baking tray with a flat silicone sheet. - Remove the stems of the apples and insert a wooden skewer into the stem end of each apple. - In the top of a double boiler (a pot that fits over another pot that will have boiling water in it), combine the sugar, water, corn syrup, and cinnamon stick - stirring until dissolved. - Remove the cinnamon stick from the syrup and add 3-4 drops of red food colouring, stir-in using a wooden spoon. - Now set the pot on the double boiler over boiling water. - Working quickly, dip the apples in, one at a time and coat evenly with the syrup. - Twirl the apple at the end so the extra syrup drips off. Don't coat them too thickly because once the apples set, it will be too difficult to eat them due to the thick layer of candy on them. - Set each apple on the silicone liner and leave to set. - They are best consumed within 24 hours. 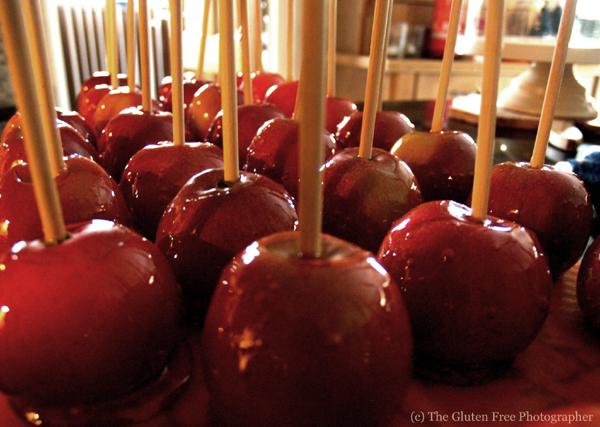 They look amazing...toffee apples is the only format in which I enjoy eating apples!! I'm such a child!! 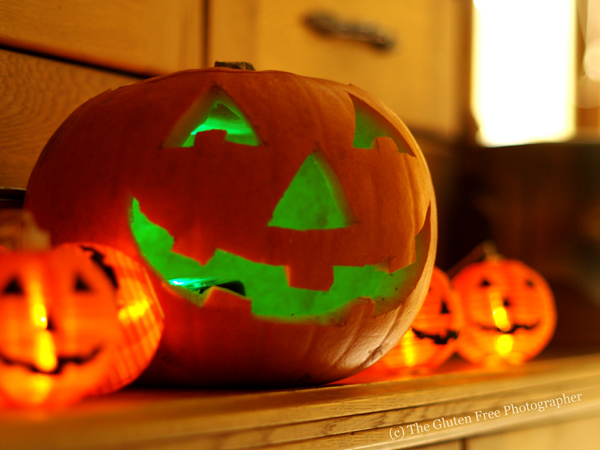 I love the pumpkin with the green light inside, pumpkin carving is definatly a gift and one i dont have!